Copyright © 2013 M. A. Helal et al. This is an open access article distributed under the Creative Commons Attribution License, which permits unrestricted use, distribution, and reproduction in any medium, provided the original work is properly cited. In this short survey, we give a complete list of the most important results obtained by El Naschie’s E-infinity Cantorian space-time theory in the realm of quantum physics and cosmology. Special attention is paid to his recent result on dark energy and revising Einstein’s famous formula . The present letter could have been entitled a short history of space-time. It is mainly concerned with space, time and matter and gives an almost exhaustive list of the most important results obtained by El Naschie using his Cantorian-fractal theory of space-time [1-85]. In a 2012 conference in the Bibliotheca Alexandrina  El Naschie announced the revision of Einstein’s special relativity energy-mass formula to and showed that it is the sum of the energy of the quantum particle and the energy of the quantum wave (21/22) [53-63]. He also showed that the speed of light is an exact expectation value in classical three plus one dimensions. 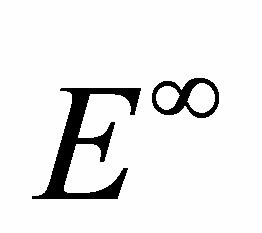 El Naschie’s E-Infinity theory has clearly shown that random Cantor sets are the basic building blocks of quantum space-time. The intrinsic topological dimension of these building blocks is zero; its Hausdorff fractal dimension is the inverse of golden ratio (0.618033989…) and its embedding dimension is unity [21,24,25]. El Naschie made it plausible that because orthodox quantum mechanics is totally insensitive to fractals and does not consider the Cantorian nature of quantum spacetime, many paradoxes following [1,4,71]. El Naschie proved that quantum space-time is described fully by not one but three dimensions. First, a topological (Menger-Urysohn) dimension equals to exactly 4. Second, a Hausdorff dimension equals to 4 plus the inverse of the golden ratio to the power of 3 which means 4.236067977… This is effectively a 4D cube inside a 4D cube and so on ad infinitum. Third, a formal dimension equals to infinity. In other words, our quantum spacetime is an infinitely dimensional but hierarchal Cantor set of measure zero . Many of the fundamental constants of nature were derived by El Naschie from first principles. This includes the coupling constant of quantum gravity as well as the electromagnetic fine structure constant and Newton’s gravity constant. In particular a fundamental equation was established relating the Bulk (E8E8) with the holographic boundary and gravity from which was derived [4,15,23,35,45]. An exact renormalization equation was constructed which derived quarks confinement as an exact result [41- 43]. The relationship between Lie symmetry groups as well as two and three Stein spaces and high energy physics was outlined. In particular the role played by E8 in this respect was analyzed. The total number of elementary particles in an extended standard model was shown to be 137 particles. This includes 10 space-time quasi dimensions. E-infinity P-Adic reasoning was also employed [16,44,45]. The stationary state of quantum mechanics was shown to be that of the VAK, i.e. the vague attractor of Kolmogorov . The theory predicted the existence of 8 dimensional Higgs field with at least one Higgs particle or five Higgs particles becoming manifest. The Higgs mass was determined to be approximately 169 GeV . The Euler characteristic as well as the curvature of the quantum space-time was shown to be equal to 26 + k 26. In addition, arguments were given to show that our universe is likely to be compact. An alternative theory using instanton density to calculate the first massless particle-like states corrected the classical well-known solution of Heterotic string theory, namely 8064 to the exact solution 8872 . It is reasoned that in a totally disjointed infinitely dimensional but hierarchal Cantor-like space time manifold, calculus must be replaced by Weyl-like golden mean scaling which effectively represents a new version of quantized calculus [25,38,56]. El Naschie made several suggestions regarding a Banach-Tarski-like big bang theory based on paradoxical decomposition of spheres . Mohamed El Naschie and his group proved the equivalent of his basic equations of E-infinity theory and the dimensional function of von Neumann’s continuous geometry and A. Connes’ non-commutative geometry [33,34,49]. A quantum particle may be modelled as a fractal point is represented by the two dimensions of a zero set dim P (0, ) where . The quantum wave is the surface of a fractal point, i.e. a fractal surface and may be represented by the two dimensions of an empty set dim . The empty set accounts for the paradoxical outcome of the two-slit experiment and the disappearance of the interference fringes . It explained quantum entanglement as a zero measure fractal geometry . It showed that dark energy is the negative energy of the quantum wave which agrees completely with measurements [54-68]. It explained the meaning of the Immirzi parameter and Unruh temperature [53,54]. In agreement with the work of Magueijo and Smolin , El Naschie showed that the speed of light is not constant but a constant expectation value . Making a distinction between temporal chaos as an initial value problem and spatial chaos as a boundary value problem helped to arrive at fractal space-time, KAM space-time, the importance of the empty set, negative dimensions, Finkelstein quantum sets, Gödel theorem and the reality of the wave function [8,9,18-20,71, 72]. It derived the density of dark energy Nash embedding of Witten’s fractal M-Theory . M. S. El Naschie, O. E. Rössler and I. Prigogine, “Quantum Mechanics, Diffusion and Chaotic Fractals,” Elsevier Science Ltd., Oxford, 1995. M. Jammer, “Concepts of Space,” Dover Publications, New York, 1969. B. G. Sidharth, “The Universe of Fluctuations (The Architecture of Space-Time and the Universe),” Springer, Dordrecht, 2005. M. S. El Naschie, “Deterministic Quantum Mechanics versus Classical Mechanical Indeterminism,” International Journal of Nonlinear Science & Numerical Simulation, Vol. 8, No. 1, 2007, pp. 5-10. M. S. El Naschie, “Average Exceptional Lie Group Hierarchy and High Energy Physics,” American Inst. of Physics, 9th Int. Symposium Proceedings, 7-9 June 2008, AIP Conferences, 101018, pp. 15-20. J.-H. He, “Transfinite Physics: A Collection of Publication on E-Infinity Cantorian Space-Time Theory,” China Education and Culture Publishing Co., Beijing, 2005. J.-H. He, E. Goldfain, L. D. Sigalotti and A. Mejias, “Beyond the 2006 Physics Nobel Price for COBE: An Introduction to E-infinity Theory,” China Education and Culture Publishing Co., Beijing, 2006. M. S. El Naschie and S. Al Athel, “On the Connection between Statical and Dynamical Chaos,” Zeitschrift fur Naturforshung, Vol. 44a, 1989, pp. 645-650. D. K. Campbell, “Chaos,” AIP, New York, 1990. G. Cherbit, “Fractals,” J. Wiley, Chichester, 1991. S. Weinberg, “The Quantum Theory of Fields,” Parts I, II, III, Cambridge Press, 1998,2000. M. S. El Naschie, “Towards a Quantum Golden Field Theory,” International Journal of Nonlinear Sciences and Numerical Simulation, Vol. 8, No. 4, 2007, pp. 477-482. M. S. El Naschie, “Complex Dynamics in 4D PeanoHilbert Space,” Il Nuovo Cimento, Vol. 1, No. 5, 1992, pp. 583-594. M. S. El Naschie, “Peano Dynamics as a Model for Turbulence and Strange Non-Chaotic Behavior,” Acta Physica Polonica A, Vol. 80, No. 1, 1991. M. S. El Naschie, “Application of Chaos and Fractals in Fundamental Physics and Set Theoretical Resolution of the Two-Slit Experiment and Wave Collapse,” The 3rd International Symposium on Nonlinear Dynamics, Donghua University, China, 2010, pp. 7-8. L. Nottale, “Fractal Space-Time and Microphysics,” World Scientific, Singapore, 1993. A. Connes, “Non-commutative Geometry,” Academic Press, San Diego, 1994. M. S. El Naschie, “Quantum E-Infinity Field Theoretical Derivation of Newton’s Gravitational Constant,” International Journal of Nonlinear Sciences and Numerical Simulation, Vol. 8, No. 4, 2007, pp. 469-474. M. S. El Naschie, “Von Neumann Geometry and E-Infinity Quantum Spacetime,” Chaos, Solitons & Fractals, Vol. 9, No. 12, 1998, pp. 2023-2030. M. S. El Naschie, “A Review of Applications and Results of E-Infinity Theory,” International Journal of Nonlinear Sciences and Numerical Simulation, Vol. 8, No. 1, 2007, pp. 11-20. M. S. El Naschie, “A Unified Newtonian-Relativistic Quantum Resolution of the Supposedly Missing Dark Energy of the Cosmos and the Constancy of the Speed of Light,” International Journal of Modern Nonlinear Theory and Application, Vol. 2, No. 1, 2013, pp. 55-59. L. Marek-Crnjac, “Modification of Einstein’s E = mc2 to E = mc2/22,” American Journal of Modern Physics, Vol. 2, No. 5, 2013, pp. 255-263. M. S. El Naschie, “The Quantum Entanglement behind the Missing Dark Energy,” Journal of Modern Physics and Applications, Vol. 2, No. 1, 2013, pp. 88-96. J.-H. He, “Special Issue on Recent Developments on Dark Energy and Dark Matter,” Fractal Space-Time and Non-commutative Geometry in Quantum and High Energy Physics, Vol. 3, No. 1, 2013. M. S. El Naschie, “Chaotic Fractals at the Root of Relativistic Quantum Physics and Cosmology,” International Journal of Modern Nonlinear Theory and Application, Vol. 2, No. 1A, 2013, pp. 78-88. C. Calcagni, J. Magueijo and D. Fernandez, “Varying Electric Charges in Multi-Scale Spacetimes,” 2013. M. Pusey, J. Barrett and T. Randolph, “On the Reality of Quantum State,” Nature Physics, Vol. 8, 2012, pp. 475- 478. M. S. El Naschie, “The Feynman Path Integral and E-Infinity from Two-Slit Gedanken Experiment,” International Journal of Nonlinear Science & Numerical Simulation, Vol. 6, No. 4, 2005, pp. 335-342. M. S. El Naschie, “Revising Einstein’s E = mc2: A Theoretical Resolution of the Mystery of Dark Energy,” Conference Program and Abstracts of The Fourth Arab Int. Conference in Physics & Material Science, Bibliotheca Alexandrina, Alexandria, October 2012, pp. 1-3.